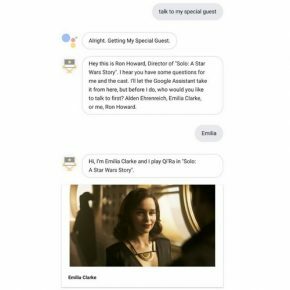 On the cinematic holy day of May 4 (May the Fourth), Google rolled out a new feature which allowed users to book tickets for Solo: A Star Wars Story, and other movies too, using the Google Assistant. 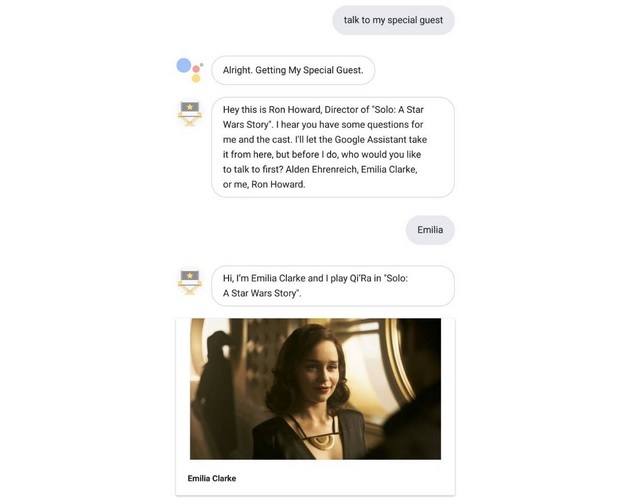 And now that the next movie in the Star Wars series is just a few days away from a release, Google has added a new trick to the virtual assistant i.e. interviewing the movie’s star cast and its director. 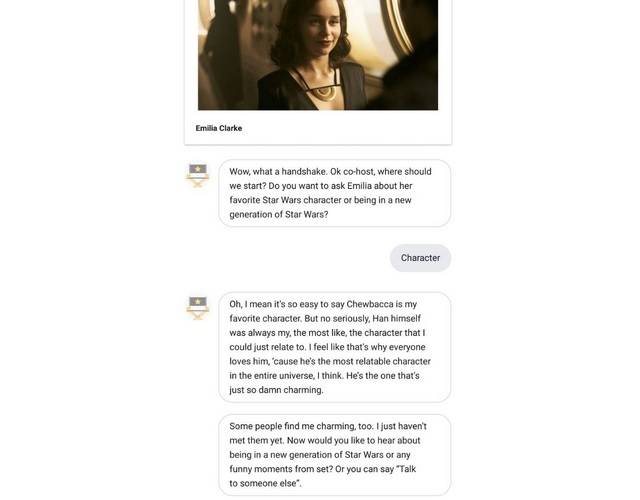 Interested in finding out about funny moments from the set or wondering who Emilia Clarke’s favorite Star Wars character is? Google Assistant has you covered. 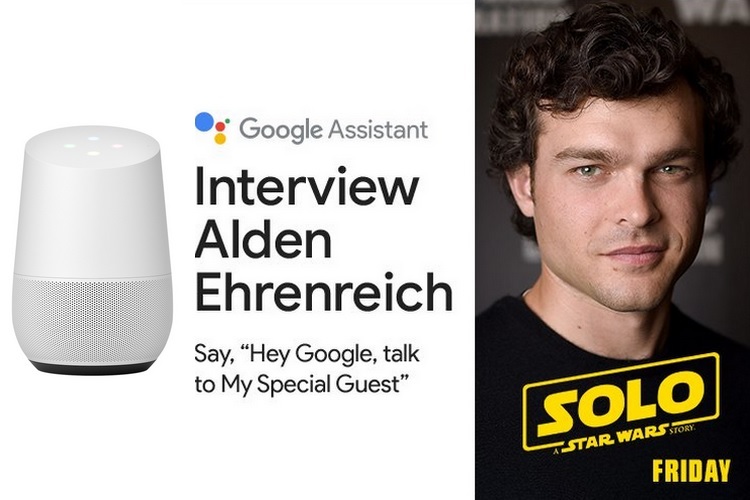 Just open the Google Assistant app on Android and iOS, or summon the assistant straight away, and say the magic words, ‘Hey Google, talk to my special guest’. Assistant will then ask you which cast or crew you want to talk to i.e. Alden Ehrenreich, Clarke or Ron Howard. From there on, everything proceeds like a natural conversation, albeit one with pre-recorded answers to different questions. 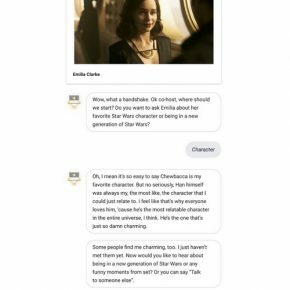 Below is the sample of my interaction with Clarke, in which she talked about her preparations for the role, funny moments from the set, her favorite character from Star Wars and a lot more. All that, in her classy British accent. But, if you are hopeful of some juicy information about the upcoming season of Game of Thrones, you’ll be disappointed (I tried it, and failed). 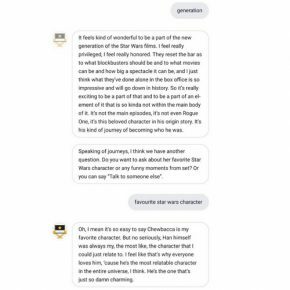 Nonetheless, this is a clever marketing tool to generate some hype around Solo: A Star Wars Story. Of course, we have seen such things before. Reliance Jio did something similar to launch the new JioInteract service, and allowed users to have a video call with Amitabh Bachchan who was also promoting a movie. In that case too, it was a series of pre-recorded video messages that would play when you quizzed Bachchan about the movie. 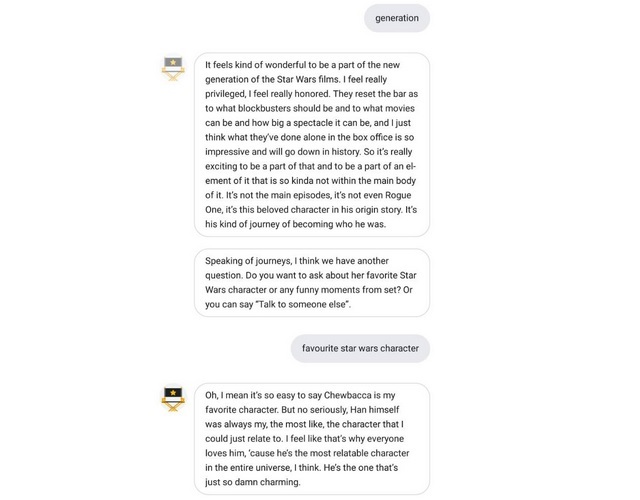 So go ahead, talk to Solo: A Star Wars Story’s lead actors and director, and you may get to know a few interesting facts for some fanboy bragging rights.